Call It Spring’s Canada Box­ing Day sale is now LIVE online. 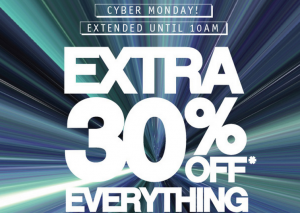 Save an extra 30% on EVERYTHING! 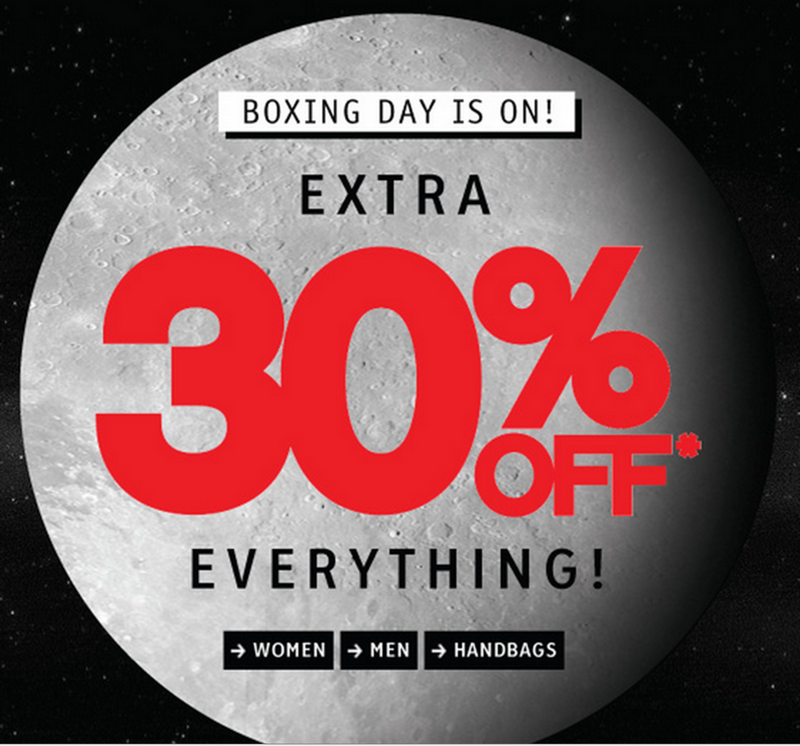 This Call It Spring’s Canada Box­ing Day sale includes Women’s footwear, Men’s footwear and all handbags! 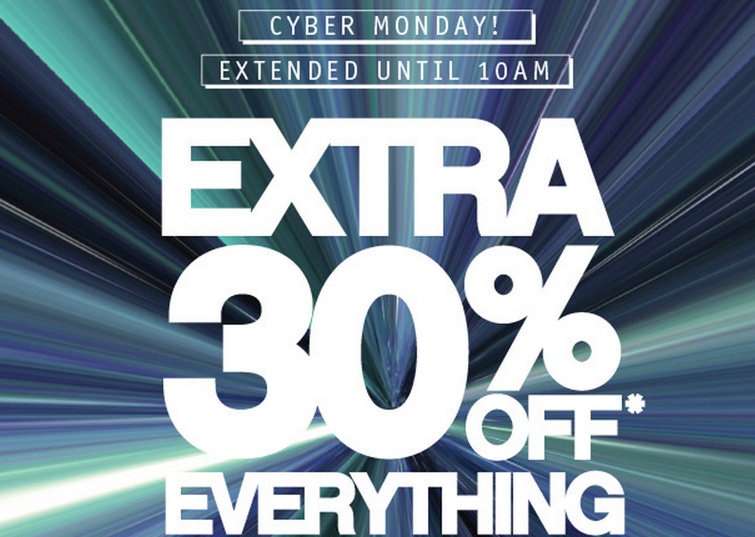 Call It Spring Canada Sale is valid online and in-stores from today, Tues­day Decem­ber 24 until Thurs­day, Decem­ber 26, 2013. Note Call It Spring stores are closed on Wednes­day, Decem­ber 25, 2013. Also, CALL IT SPRING is offer­ing FREE STANDARD SHIPPING on all online orders over $50, after applied dis­counts and before taxes for a lim­ited time only. Click here to get this Call It Spring’s Canada Box­ing Day sale online NOW. This entry was posted in Uncategorized and tagged Call It Spring on December 25, 2013 by booradley. 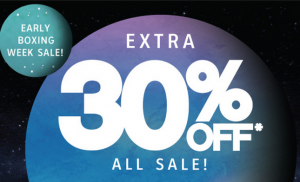 Call It Spring Canada Boxing Week Sale: Save EXTRA 30% n ALL Sale Merchandise! Early Boxing week sale at Call It Spring Canada is happening right now Online and in-stores! Save EXTRA 30% off ALL sale items! This Call It Spring sale is valid for all sale merchandise and excludes styles Klien, Linhardt, Clairday, Bendik, Arby and Gerwitz, Osulf, accessories, clearance, gift cards, and must be redeemed at the time of purchase. This Call It Spring Canada sale is available online and in stores for a limited time only. Also, for a limited time, Call It Spring Canada is offering FREE shipping on all online orders over $50, after applied discounts and before taxes. The cost for shipping will automatically be deducted at checkout for all eligible orders. This entry was posted in Uncategorized and tagged Call It Spring on December 19, 2013 by booradley. Also, for a limited time, CALL IT SPRING is offering FREE STANDARD SHIPPING on all online orders over $50, after applied discounts and before taxes. This entry was posted in Uncategorized and tagged Call It Spring on December 3, 2013 by booradley.